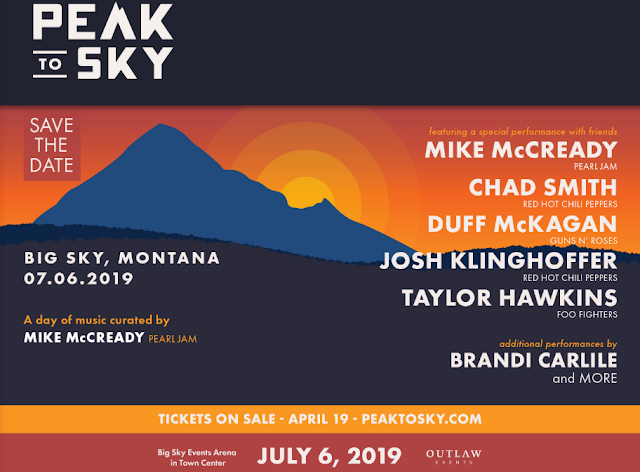 This week, the Ten Club announced a music festival, Peak to Sky, curated Mike McCready on July 6th, in Big Sky, Montana, featuring some of his favorite musicians: Chad Smith and Josh Klinghoffer of the Red Hot Chili Peppers, Duff McKagan of Guns N' Roses, Brandi Carlile, and Taylor Hawkins of the Foo Fighters. Tickets go on sale April 19th, you can get more information here. 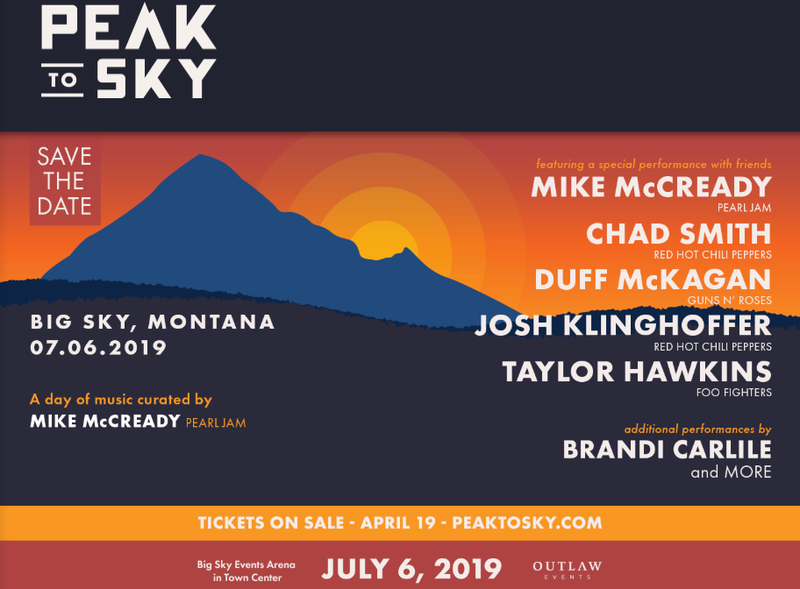 No word on whether other members of Pearl Jam will be present, but given that Jeff Ament was born in and currently owns a home and studio in Montana, it's hard to imagine that he won't stop by.